The board that oversees federal employees’ 401(k)-style retirement program announced Tuesday that it has appointed Ravindra Deo to serve as executive director of the Thrift Savings Plan. Deo has been the TSP’s acting executive director since May, after Greg Long resigned from the post. Long spent a decade at the retirement program’s helm and in April announced he was leaving in part to focus on finishing his MBA. Prior to filling in for Long, Deo was the TSP’s chief investment officer and he spent nine months as acting chief operating officer. Deo has more than 25 years of investment experience in the private sector. Michael Kennedy, chairman of the Federal Retirement Thrift Investment Board, which governs the program, said support for Deo was unanimous. The board commissioned executive search firm JDG Associates to conduct a nationwide search for candidates after Long’s resignation, but in the end it chose the internal candidate. Deo takes the reins at the TSP at a pivotal time for the program. 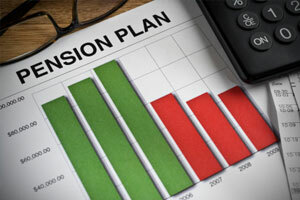 Lawmakers are advancing legislation to make it easier for employees and retirees to withdraw and manage their funds, and the agency is in the midst of preparations to implement the new blended retirement system for military service members, which will bring an influx of TSP participants and is set to go live on an opt-in basis in January.